Xiaomi’s newly-formed POCO brand is all set to launch the POCO F1 smartphone in India on August 22nd. In a surprising bit of news, the Chinese brand might also launch its Mi 8 flagship in the country soon. This information came from a Delhi-based mobile dealer. Since both the POCO F1 and Mi 8 are top-of-the-line flagships running on Qualcomm’s Snapdragon 845 chipsets, 91mobiles verified this information by speaking to three separate dealers located in Rajasthan, UP, and Delhi. All the three sources confirmed that Xiaomi has informed them that it’s indeed planning to launch the Mi 8 in the country in the coming weeks. However, the exact launch date of the handset isn’t confirmed at the moment. For the uninitiated, the Xiaomi Mi 8 was launched in China in May this year. 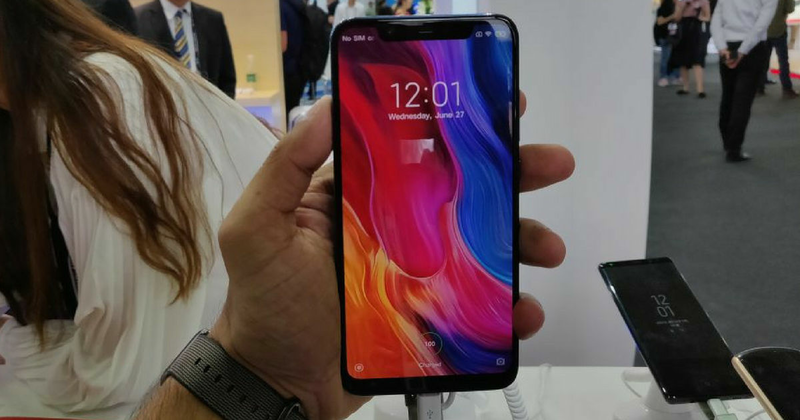 The phone arrived as the brand’s first smartphone to sport a display notch. The handset offers a premium metal and glass body with a rear-mounted fingerprint sensor. The device also gets Infrared face unlock, which as per the company, can unlock the smartphone even in the dark. The phone boots Android Oreo-based MIUI 10 out of the box. The Mi 8 (first impression) offers a 6.21-inch display with an 18.7:9 aspect ratio and a resolution of 2,248 x 1,080 pixels. The Snapdragon 845 SoC-powered offering comes in 6GB / 8GB RAM and 64GB / 128GB / 256GB storage variants. The phone offers two 12MP primary cameras at the rear, and a 20MP selfie snapper. The handset also gets Studio Lighting, which offers AI-enhanced portrait photography. As for the other specs, the Xiaomi Mi 8 offers 4G LTE, VoLTE, dual-band Wi-Fi, NFC, and USB Type-C. The handset is being touted as the first smartphone in the world to flaunt dual-band (L1-L5) GPS. This technology eliminates interference from buildings and decreases signal delays to deliver more accurate navigation. A 3,400mAh battery with Quick Charge 4+ fast charging support completes the list of the specifications. As per our sources, the Xiaomi Mi 8 can be expected to be priced under Rs 30,000, though it’s not confirmed if the brand will be introducing all the variants of the flagship. At this price, the phone might go directly against the debut offering from its sub-brand. However, it’s quite possible that the Mi 8 could be an offline-centric smartphone, while the POCO F1 is said to be an online-exclusive offering.